Both last week’s faces were examples of mimicry, one visual, one olfactory. The mink face or the ying-yang sign are markings on an elephant hawk moth caterpillar. A predator’s glimpse of that face may be a matter of life and death for the caterpillar. 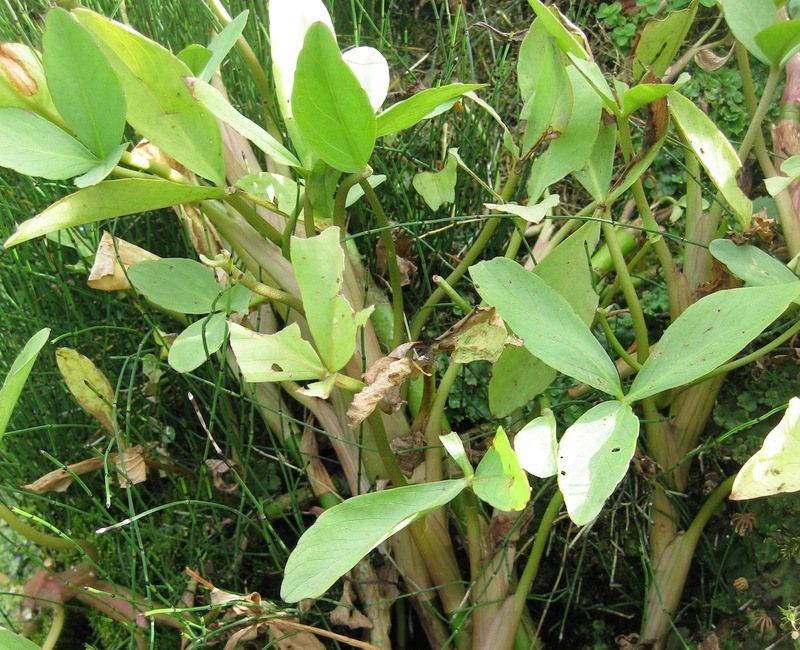 The host plant is menyanthes, the bog bean. This aquatic plant sprawls on the pondside bank where the hawkmoth larva was found. No one identified Ceropegia sandersoni (shame on you). It’s funny face is a partially enclosed flower that is a lure for small flies. To female dipterans, the flower emits heady foetid smells of pheromones and carrion. Enticed to the trap, guide hairs take them in one direction, down. Pollination is achieved at the base of the long corolla tube. After a few days the entrapping hairs relax and the flies escape and move on, carrying pollen to another flower. We use Ceropegia sandersonii and Ceropegia woodii as a cascading feature in our conservatory. Note the aphid infection with honeydew on the leaves.